This is not official art. It’s fan art. Pixiv member Kanon Kamishima created the piece and uploaded it in 2013. This week, similar art was spotted on a Dragon Ball Z toy. The artist apparently had no idea. 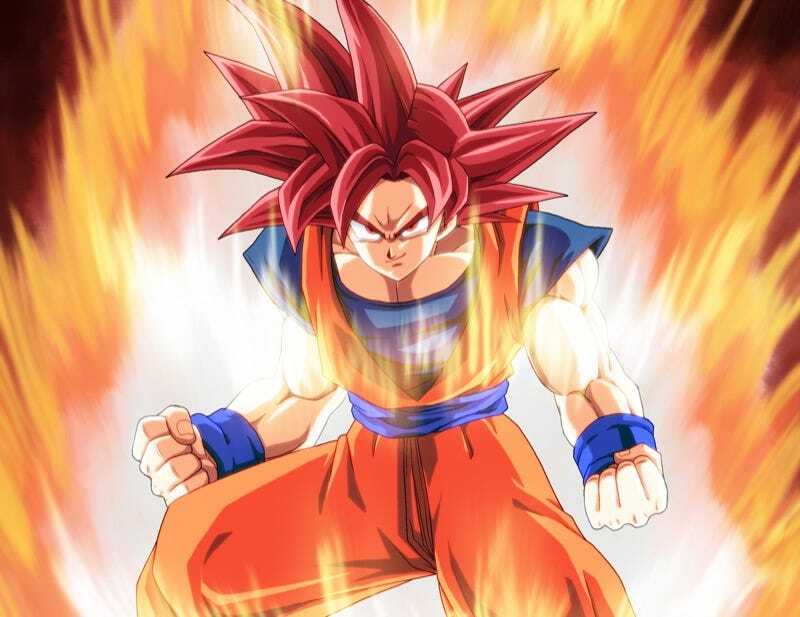 The art depicts Super Saiyan God Goku. It is not official, but has been widely circulated online as a DBZ wallpaper. My assumption is that it was mistakenly thought to be official. This Dragon Ball Z medal was previewed in the most recent Saikyo Jump manga. The medal, which is used for spinning tops, hasn’t gone on sale. Yet. But if it does (I doubt it will), Kamishima did mention putting in a compensation claim. What’s tricky is that while Kamishima created the image (or, at least, a similar one), the artist does not own the copyright to Goku’s likeness nor is the artist responsible for said likeness. But Kamishima did create the image. See? Tricky.